Sip your favorite wine in simple elegance with this set of four Chardonnay Grand Cru glasses from the Invisibles collection by Ravenscroft. Constructed from beautiful non-lead crystal, this delicate crystal glass is made from the purest materials available for incredible brilliance and clarity. Practically invisible and weightless, it does not compete with the wine itself to create a perfect wine experience. This collection precisely controls the bouquet and palate attack and then disappear, the perfect wine glass for the sensualist within all of us. 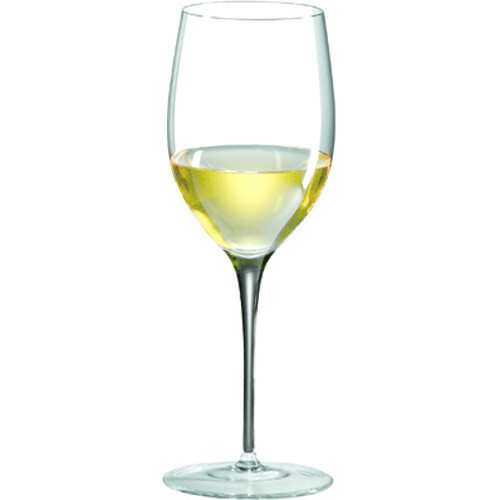 Featuring a varietal specific designed with wide mouths to diffuse alcohol and smaller bowls to concentrate the delicate fruit of great white wines. This set is a perfect gift for newlyweds, wine lovers, or yourself.